Today’s soccer requires players who are skillful, agile, adaptive, and spatially aware; capable of quickly switching from offense to defense and have an understanding of multiple positions. 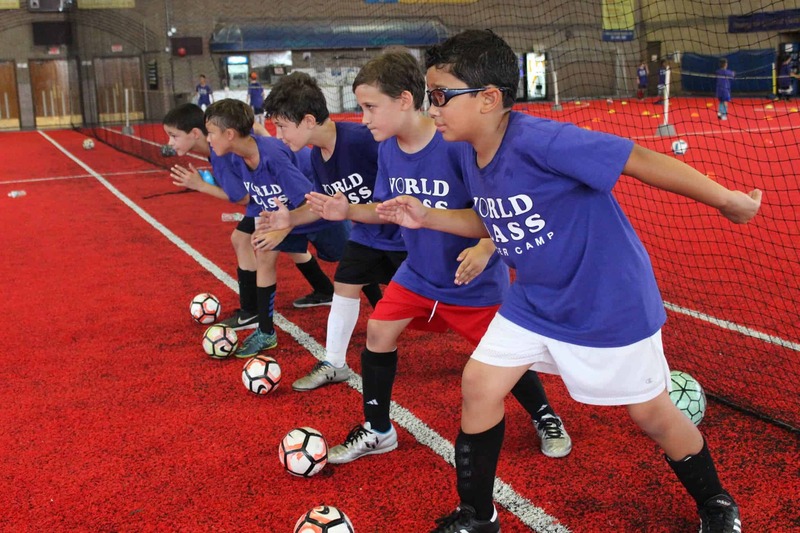 Our Total Soccer class will put heavy emphasis on ball mastery, speed of play, finishing, speed and agility, and 1v1 attacking and defending. Kinder Soccer – A fun-filled exposure to the planet’s most popular sport. Build confidence and coordination with basic skills and small-sided play emphasizing the joy of the game. Ages 3-4. Foot Skills & Finishing – Work on advanced ball handling in these intense fast footwork sessions. Dribbling, penetration, fakes and more to beat opponents. Boost goal-scoring ability with a variety of ball striking and volleying techniques for success in the offensive end of the field. Total Soccer Training – Today’s soccer requires players who are skillful, agile, adaptive, and spatially aware; capable of quickly switching from offense to defense and have an understanding of multiple positions. Our Total Soccer class will put heavy emphasis on ball mastery, speed of play, finishing, speed & agility, and 1v1 attacking & defending. Oscar Galvis: Director of Goalkeeper Training at World Class Soccer Camp. Oscar played professionally as a goalkeeper in the top professional league in Colombia and Peru. Oscar also has served as the goalkeeper coach at St. Thomas Aquinas College and for the Region 1 ODP program. Andre Bereczky: Andre played as a goalkeeper in the Hungarian National League. After his playing career, Andre served as the youth goalkeeping coach at the Debrecen Professional Club in Hungary.